A new client requested that DKP research and analyze the cost-share exposure for an orphan product entering the US market. The client wanted to assess the impact of varying levels of patient cost share across payer types, qualification criteria for financial assistance programs, out of pocket maximums, and higher level factors impacting healthcare reform such as healthcare exchanges. DKP began the project by conducting a payer mix analysis to identify the numerous payers involved in the payment for an ultra-orphan disease state where there is limited data. DKP conducted a high level review of published information in order to gain insight to the patient share of cost under the medical and pharmacy benefit for a specialty drug. DKP researched coinsurance/cost share responsibilities across commercial payers, Medicare, Medicaid, TriCare, and state insurance exchanges. For the uninsured, DKP researched available foundations and financial assistance programs under which patients potentially qualified and what assistance needs to be in place for patients with significant out-of-pocket expenses, to assist with affordability. We included the type of assistance offered and criteria to qualify. 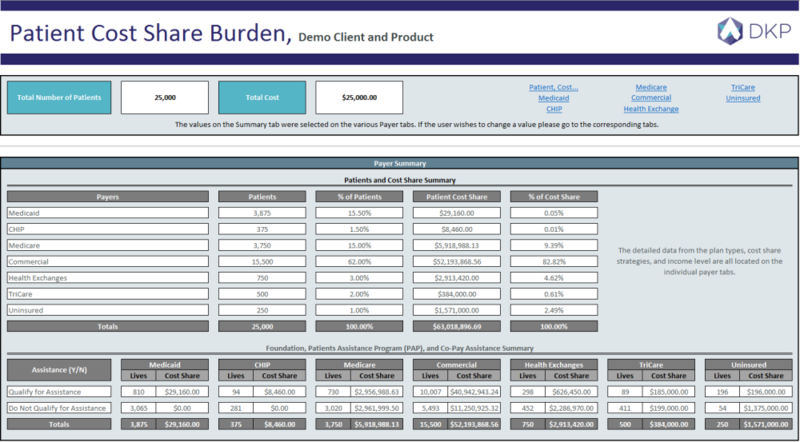 Utilizing the research across all payers, DKP was able to build a working model that provided detail surrounding each cost share scenario. The tool provided an algorithm for each payer type, showing the out-of-pocket trend for a specialty drug, based on the different price points provided by the client. 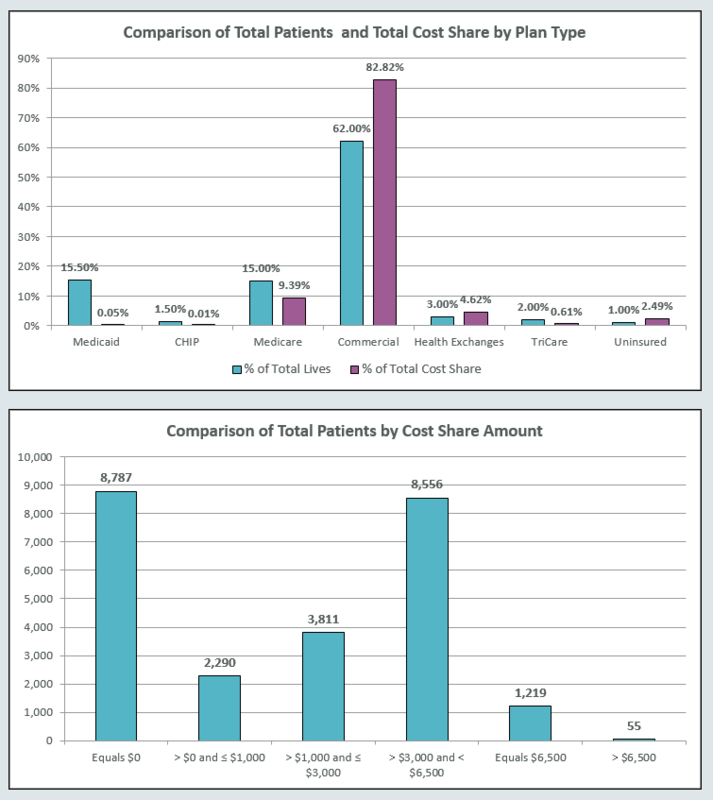 DKP’s analysis of the patient cost share responsibility aided the client in assessing their free drug assistance program for the uninsured and Medicare Part D patients as well as the co-pay support program (via foundations) to assist patients with out-of-pocket expenses. The client was thrilled to have a working model that they could manipulate as projections and assumptions changed. "DK Pierce provides direction on what I need to know when I'm not sure what I need to investigate."